The BMW 7 Series is currently making headlines all over the world. Its most recent press launch occurred at Monticello raceway in NY, which slightly baffled some journalists as to why BMW would be holding the launch of a big luxury barge at a racetrack. However, BMW knew what it was doing and wanted to demonstrate just how adept the new 7 Series is, in terms of limit handling. One of the biggest reasons it’s such a good handler is its Carbon Core lightweight construction. We’ve talked about this numerous times before, but I’m not sure if everyone realized the impact that this new construction will make on not only BMW but the entire automotive world. 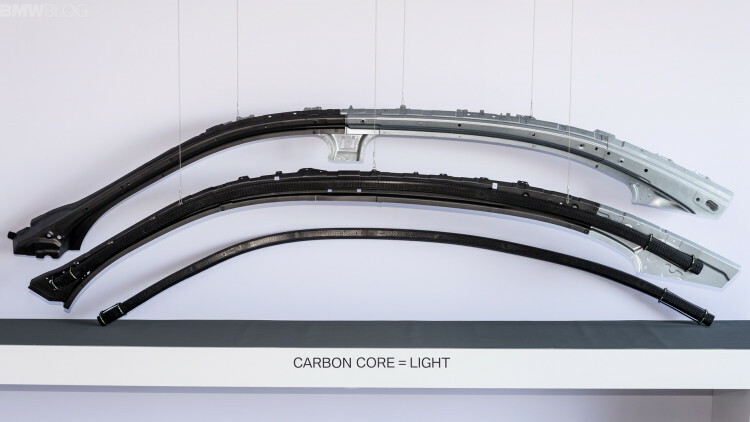 First, let’s recap what the Carbon Core construction is all about. 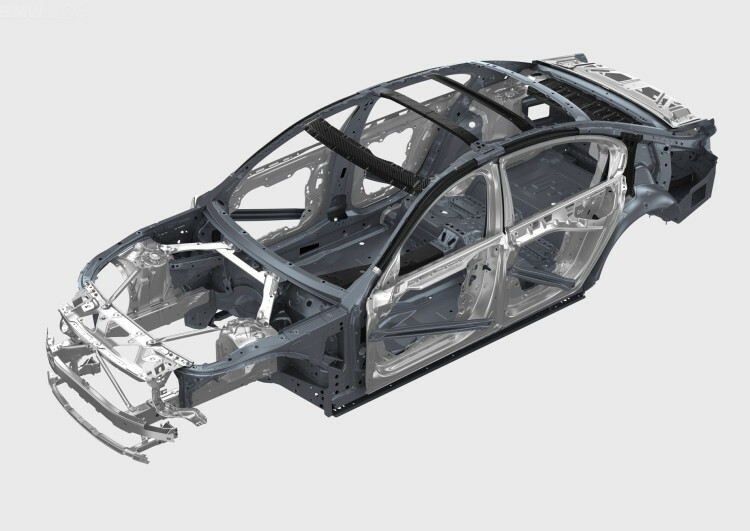 The chassis of the new BMW 7 Series, which will also be shared with the upcoming 5 Series and other future models, has been developed with extensive uses of carbon fiber, aluminum and high-strength steel. The all of these exotic materials have been strategically placed in the chassis to create a very lightweight, very rigid and very safe structure in which to build upon. For instance, the A, B and C pillars, as well as much of the roof, are all built using carbon fiber. This makes the chassis very stiff, reducing chassis flex which improves handling, but also reduces weight up top, lowering the center of gravity to further improve handling. 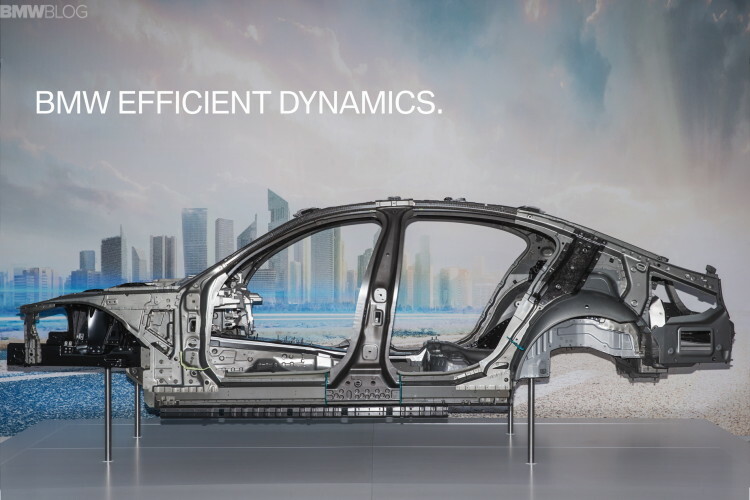 This kind of clever chassis engineering is going to help BMW tremendously in the future to continue building high-performance cars while also maintaining good efficiency. With the 7 Series’ architecture being shared with other future models, we will see an increase in performance, handling and efficiency across the entire BMW lineup. But the consumer benefits don’t stop there. Competition breeds excellence. With BMW releasing such a chassis on a high-production road car, it will force other manufacturers to do the same. Audi is currently working on a replacement for the current A8 luxury sedan to compete with BMW’s 7 Series. You know Audi saw what BMW was doing and is working on something similar, so to not get left behind. Mercedes-Benz will also do the same when it comes time to replace the current S Class. Porsche will eventually follow suit, as will Volkswagen and Cadillac and on and on it will go. And because each automaker seems to be switching to these scalable and sharable architectures, once one car in their lineup uses such a chassis, the rest of the lineup will get it as well. So BMW is changing the game and pushing the bar higher. It will set a trend for lightweight chassis construction for the future. Other automakers will follow suit and we will all reap the benefits as the automotive landscape slowly changes for the better. So this new Carbon Core technology is more important that many might think. Next post Jeep Grand Cherokee Trackhawk Hellcat: Does it threathen the X5 M?